Just because the weather is cooling down doesn’t mean you have to give up your most-loved dresses. 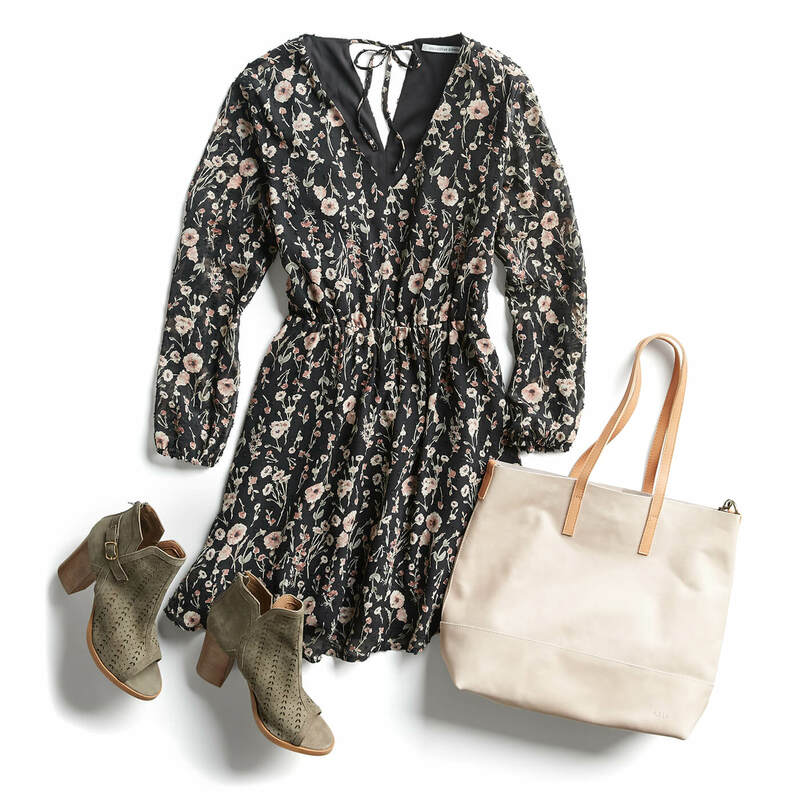 With a few styling hacks and layering techniques, your summer dresses can be worn year-round! Simply switch your warm weather shoe styles out for a pair of fall-ready ankle booties. A classic suede brown or black pair will get the job done, but if you’re looking to stretch your style boundaries this fall, opt for a rich fall color this season, like mustard or burgundy. A mid to high heel is most appropriate for a night out while a lower heel is casual and comfortable to boot (pun intended)! Stylist Tip: Take the chill off your legs with a pair of tights that coordinate with the color of your boots. When in doubt, always bet on black. On your casual (and chillier) days, layer a chunky knit cardigan over your favorite summer sundress. Play with proportions (and length) and go for a long duster-like cardigan to cascade over your shorter sundress. The longer the cardigan, the more fall-ready your look will be! 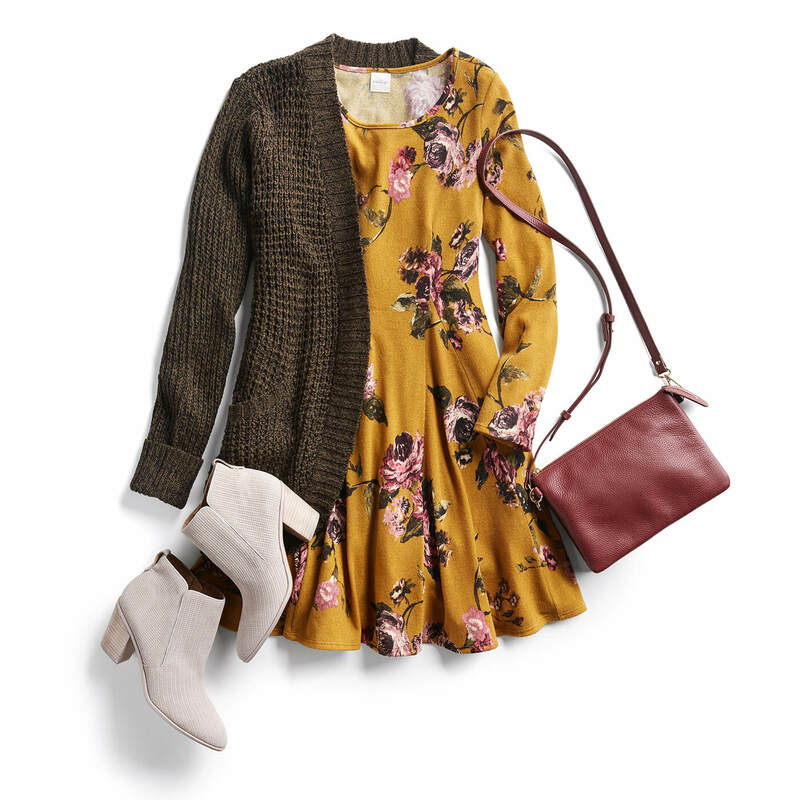 Stylist Tip: When the temps really start to drop, layer a blanket scarf with your dress and cardigan for an even warmer option. It’s jacket-time! Pop on a dark denim jacket to give your flirty floral print dress a fall vibe with a pair of open-back loafers or fashion sneakers. Or try one of the season’s biggest trends, the utility jacket, and layer it over your everyday t-shirt dress. Stylist Tip: Still a little toasty in your area? Opt for a lightweight vest to help transition your dress to fall, without overheating you. Adding these chic layers to your dresses ensures that you’ll stay fashionable (and cozy!) as the weather cools down. Ready to transition into fall? Schedule a Fix for new fall staples!